By Andy Lewers, Tales from the Vicarage Reporter. 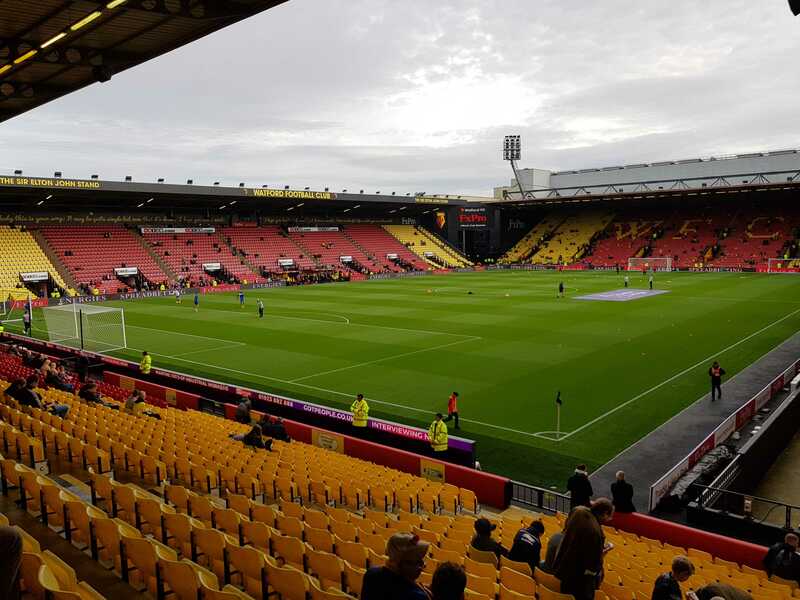 Watford suffered a second defeat in two games following a frustrating afternoon at Vicarage Road. Before the game, we caught up with Tales from the Vicarage contributor Mike Parkin. You can watch our interview with him here. 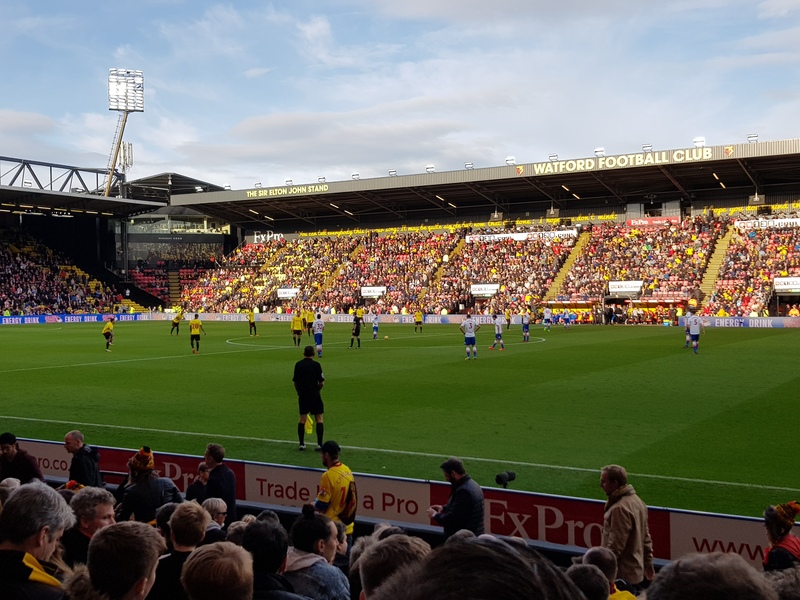 Watford dominated the possession from the off, looking to put last week's heartbreaking defeat against Chelsea to bed. Despite Watford's dominance in the opening stages however it was Stoke who took the lead. A corner was drilled to the edge of the area and Darren Fletcher superbly steered his first-time volley past Gomes and into the net. With just 15 minutes on the clock it was surely too early to score and for struggling Stoke to hold on. The stage was set now however for Stoke to do what Stoke do best, put 11 men behind the ball and park the bus. 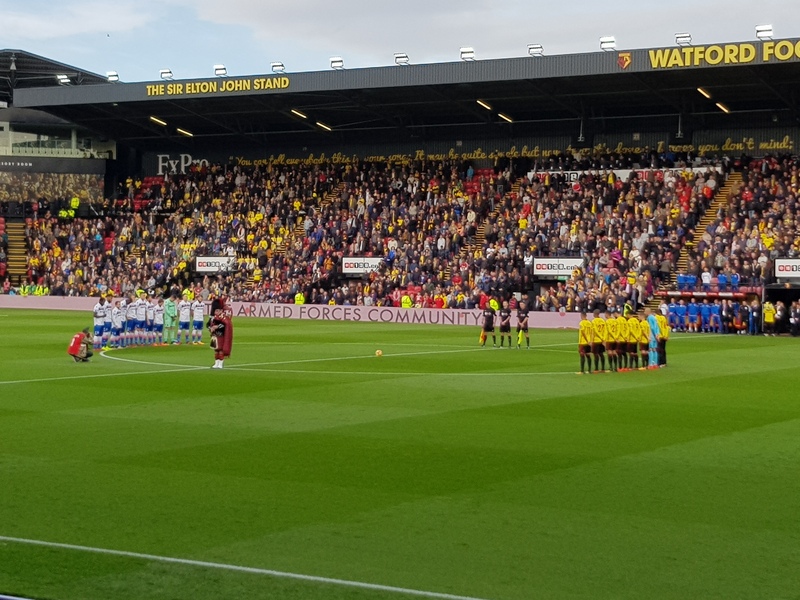 And unfortunately it worked a treat, Watford failed to muster any meaningful attempts on goal for the remainder of the first half. 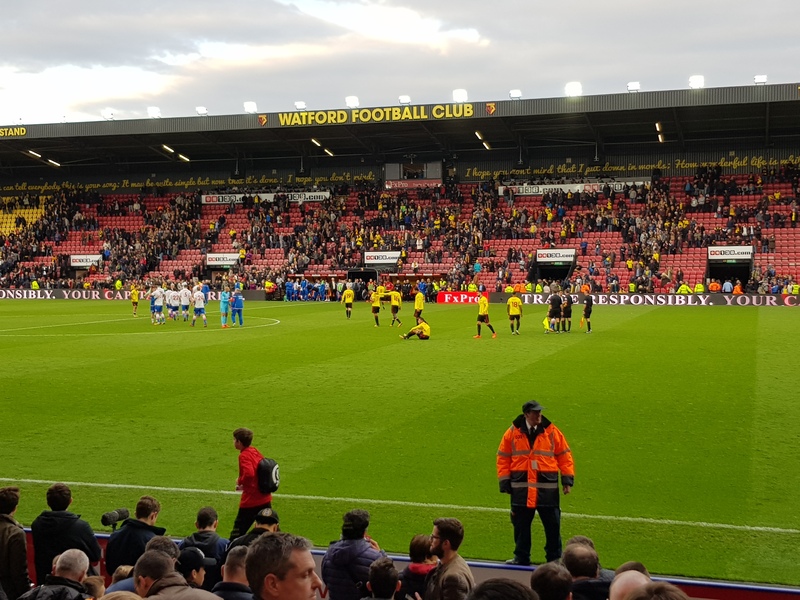 Watford came out with a bit more purpose in the second half, presumably with a flea in their ear after Silva's half-time team talk. Richarlison came desperately close to leveling the scores. Carillo headed the ball across the face of goal and the Brazilian met it with his left foot, but the angle was too tight and his shot found the side netting. 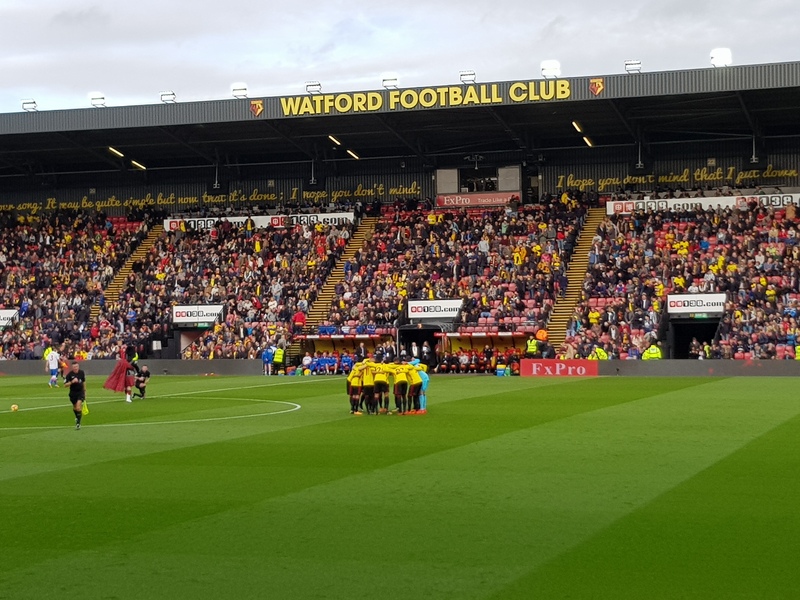 Watford were always susceptible to a counter attack and Allen should have doubled the visitor's lead shortly after the hour mark, however he dragged his shot wide. As time wore on both the crowd and the players were becoming increasingly frustrated. Stoke's master plan working wonders as the Hornets failed to break down Stoke's resilient back line. The final ten minutes descended into chaos. Berahino fluffed his lines when one-on-one with Gomes whilst down the other end Gray failed to hit the target with a header and close-range effort. 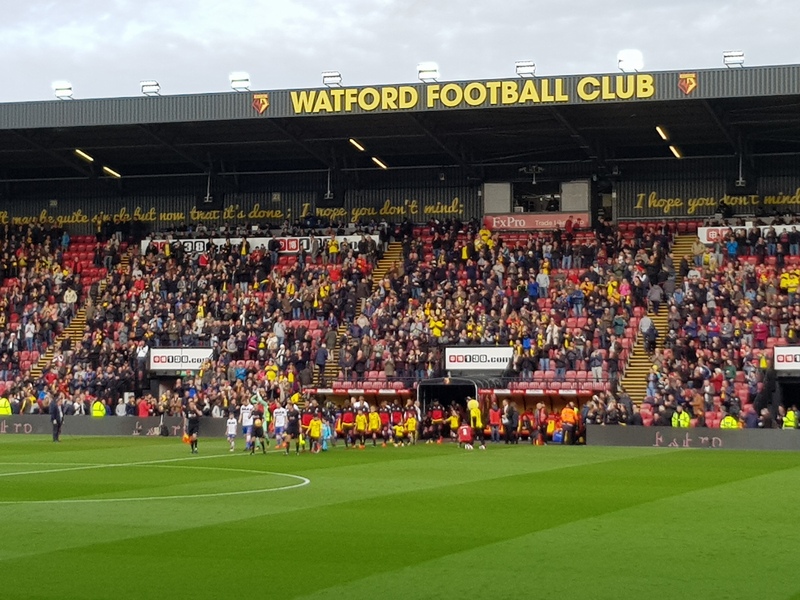 Tempers over-boiled towards the end of the game and there were some unsavoury scenes as Deeney and Allen clashed, after Watford decided to play on following Stoke deliberately kicking the ball out of play because one of their players had 'cramp'. The drama didn't end there though. In the dying seconds of the game Gomes came up for a corner, Stoke broke up the pitch and Charlie Adam missed an open goal from 20 yards. Although it was a fairly dismal afternoon, it was quite funny watching his shot bounce back off the post. Just what is it about Stoke at home? As soon as they scored we knew exactly what they were going to do and Watford just didn't have an answer. Stoke were stubborn and executed their game plan perfectly. Zero shots on target for the 'Orns illustrates that. A frustrating afternoon, but deep down did you really expect anything else?